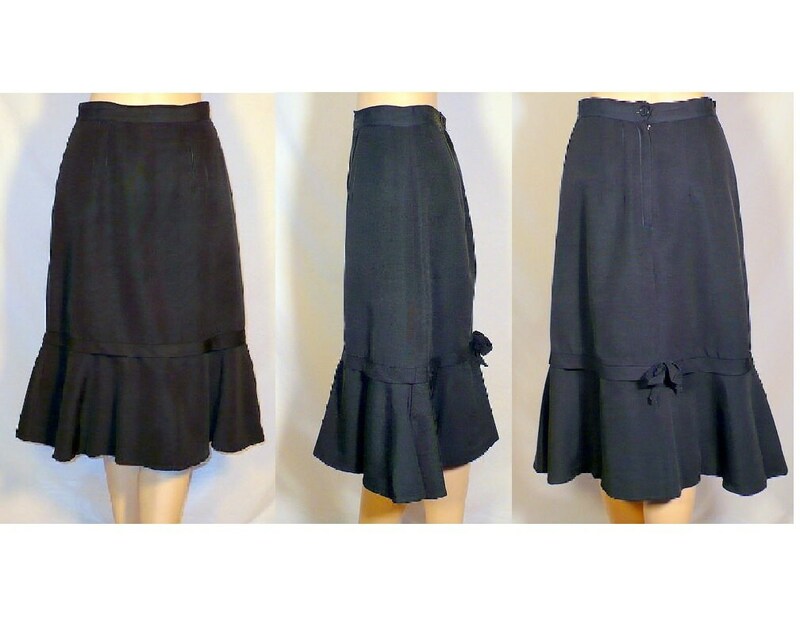 Real Catch - Vintage 1950's black midi fishtail skirt. Flirty bow at rear. Net tulle petticoat flare under ruffle. Rear center metal zipper closure. 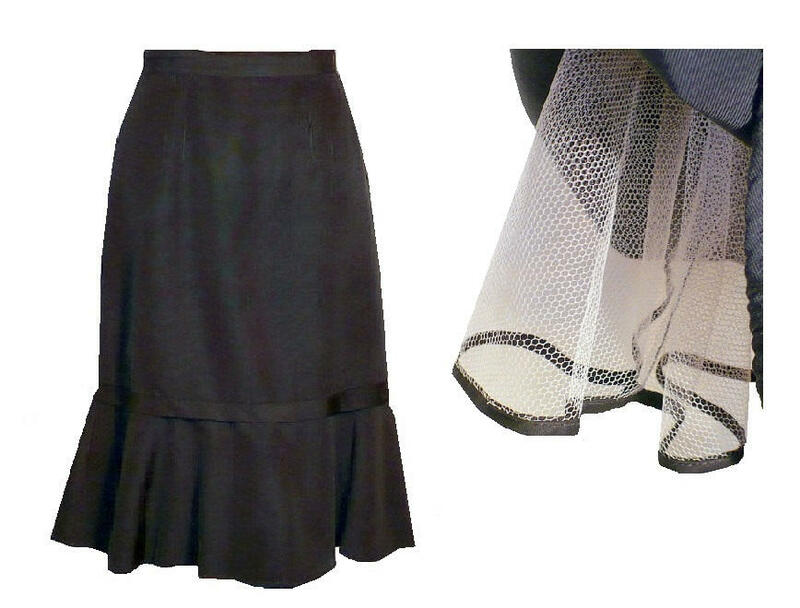 Fabric: Faille rayon, Tulle net crinoline. Freshly dry cleaned and ready to wear. Ruffle length is 9 1/2"